Named for Bobby Alfons who was born in Indonesia but after migrating to the Netherlands realised that he missed the taste of home. A big fan of Jenever (the Dutch precursor to gin), he began infusing his spirit with familiar Indonesian spices and herbs. Bobby’s grandson Sebastiaan discovered an old bottle at his mother’s house and inspired by the story, he headed to Schiedam, the city where gin originated and partnered with the seventh generation master distiller of Herman Jansen to create this unique gin - blending the tradition of Schiedam jenever (from the west) with the best Indonesian botanicals and spices (from the east). His other nod to their global partnership is the bottle. Taking its shape from the classic Schiedam ‘kruik’ bottle and screen printed with an Ikat - a traditional Indonesian pattern. 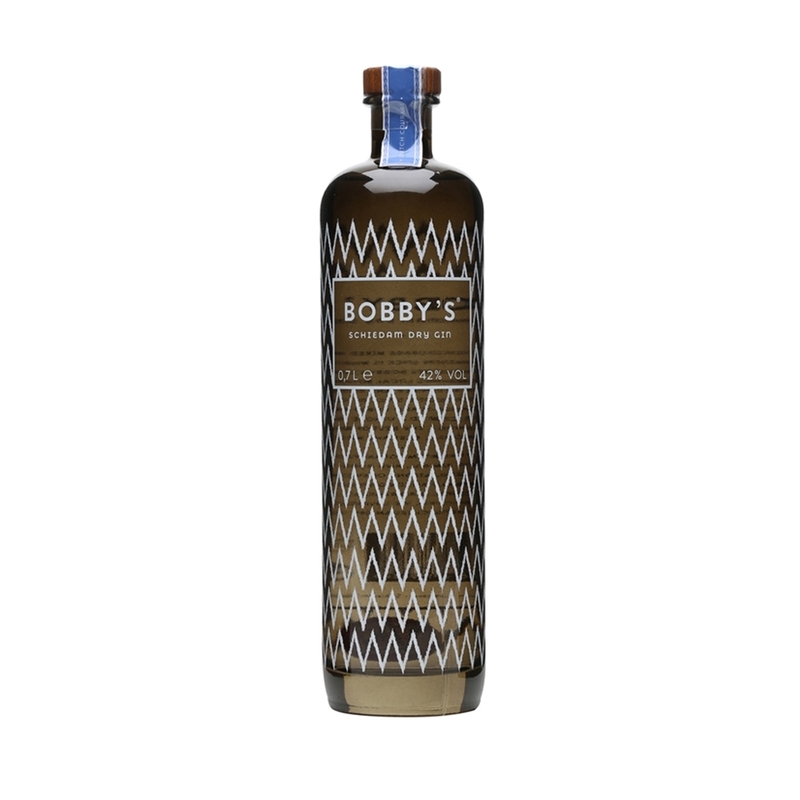 Bobby’s ‘Schiedam Dry Gin’ has mastered the perfect balance between east and west with their exotic botanicals like lemongrass, fennel and rose hip, balanced deliciously with juniper, cubeb pepper and cloves - a fresh take on a timeless classic.